Aizik “Aik” Brown is a muralist and painter from Sacramento, CA. Creating has always been his way of self-expression and being able to use his voice visually. At a young age he was strongly influenced by graffiti art, and soon started creating his own art. He attended Humboldt State University and received a BA in Studio Art with an emphasis in painting. After graduating college, he moved back home to better his skills as an artist, and also to start working on bigger scale paintings around his city. Aik’s current focus is to create eye appealing, realistic, and creative works of art. He is influenced by nature, landscapes, people, cultures, music, patterns, and design. The art that he is creating today consists of nature and people (especially women), with his unique cartoon, graffiti, and graphic style look. He also includes tribal patterns and design into his art that represents his multicultural background and spirituality. 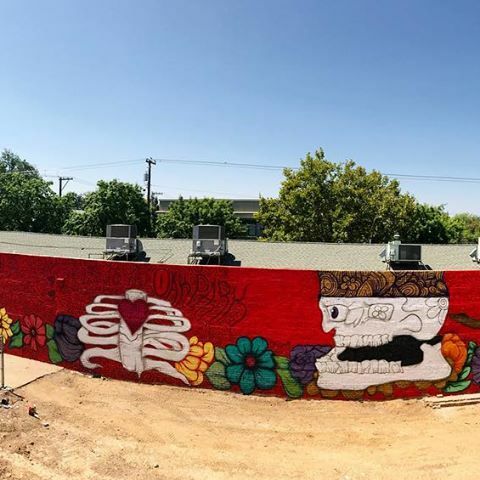 In 2018, Aik has already created 13 murals and will continue creating art – whether on canvases, walls, or any other platform. He also plans to be more involved in the Sacramento arts community to better lives creatively, intellectually, and spiritually. His position with the Crocker Art Museum as the Art Impact Fellow allows him the opportunity to accomplish this goal for himself and his community.